Sony PRS-505 250MB, 6in - Silver. Condition is Used. Shipped with USPS Priority Mail. This unit shows light wear and tear, the case has some dings and scuffs. Sony Digital eBook Reader PRS-505 Black - Bundled with Leather Case and Light!! Tested and in good condition. The screen is fully working. One of the card cover slots has been replaced with a black Dell one. This reader has just been factory reset and is ready for your collection. 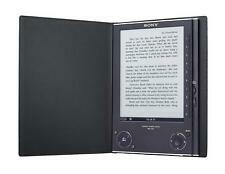 Sony PRS-505 eBook Reader. "The sale of this item may be subject to regulation by the U.S. Food and Drug Administration and state and local regulatory agencies. This unit has been used. stands to reason that issues will arise occasionally. None of these, however, hinder the functionality of the eReader. Displays Adobe® PDFs, plus TXT, RTF, BMP, JPEG, GIF, PNG and Microsoft® Word files. Unit is free of large scuffs and scratches. Alaska and. We will help to resolve any issues quickly and fairly. Unit is fully functional. We are not the original owners of the unit and we do not know the history. NEW - Sony PRS-505 Digital Portable Reader System, Silver - Factory Sealed ! Sony PRS-505 250MB, 6in - Silver Works but sometimes locks up. Modéliser les numéros correspondent à : Portable de Sony Reader PRS-500 PRS-500U2, PRS-505, PRS-505SC/JP, PRS-505/RC, PRS-505/SC, PRS-505/LC, PRS-700BC, PRSA-CL1, PRS-500U2. 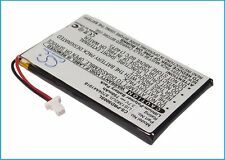 Numéros de pièce compatible batterie : 1-756-769-11, LIS1382(J), 8704A41918. It always says loading that's why I listed repairs or spares otherwise reader is in excellent condition.